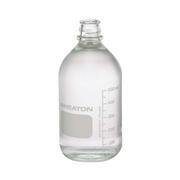 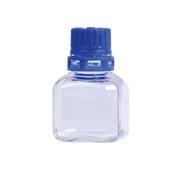 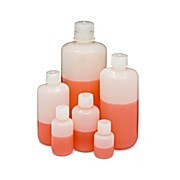 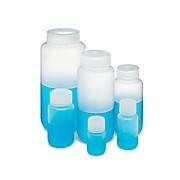 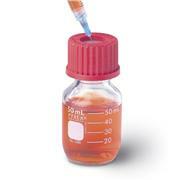 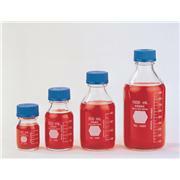 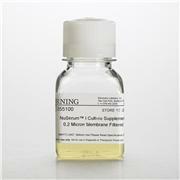 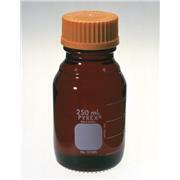 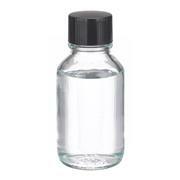 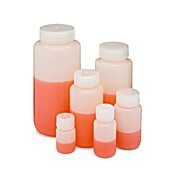 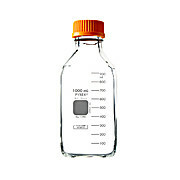 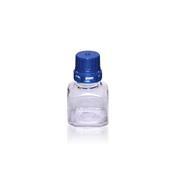 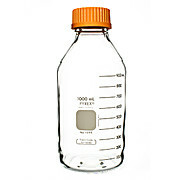 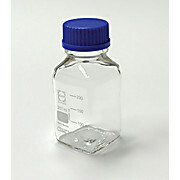 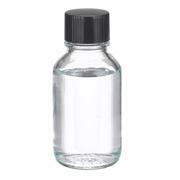 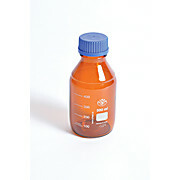 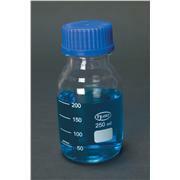 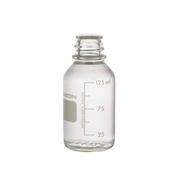 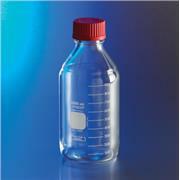 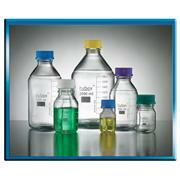 …materials, amber media / solutions bottles are autoclavable, with permanent white imprinted graduations and marking spots. 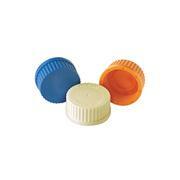 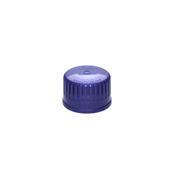 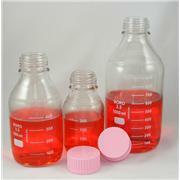 The supplied GL 45 cap is liner-less and both the cap and drip free ring are polypropylene and autoclavable to 140°C. 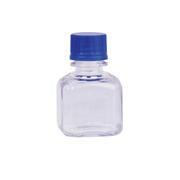 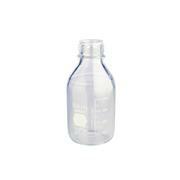 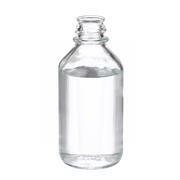 Maximum use temperature of bottles is 450°C.